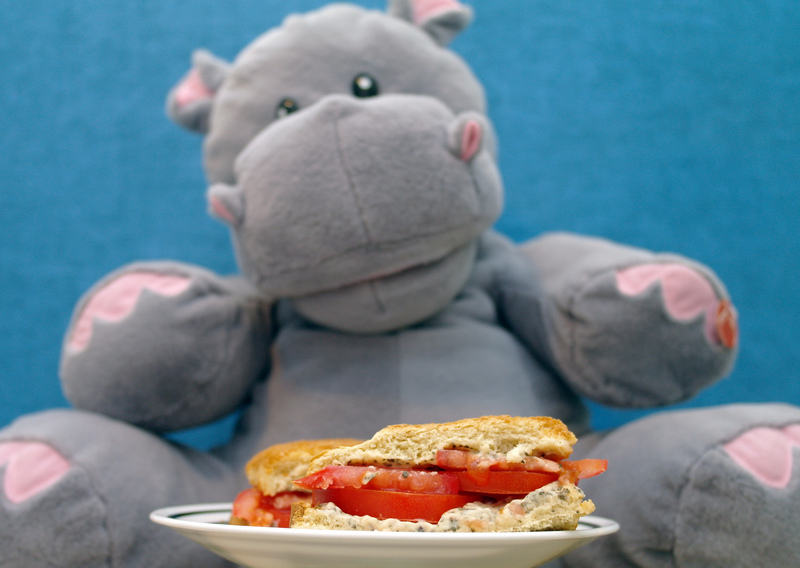 For the casual eater, tomato sandwiches must be constructed in a certain way. Toast the bread. You’ll like how the crunchy dryness combines with the juicy tomato. And if tomato isn’t exciting for you, though tomatoes can be quite an amazing component to many dishes, consider expanding the flavor scope of the sandwich by adding a new condiment. This sandwich uses basil garlic mayonnaise, which produced a nice punch of deliciousness (partially due to the secret ingredient in the mayo– cayenne pepper). When it all comes together, it’s a symphony of taste and texture that delivers a refreshing experience.